In case you have procrastinated and still have your Christmas tree hanging around somewhere… don’t panic! I have the best solution and it will not only get your spouse off your back, clear up space inside your house, but it may very well make you the star of your neighbourhood. All you need is that Christmas tree (the drier the better), an axe or saw to chop it down and some sort of ignition device (lighter, matches, TNT, etc.) and a streak of Zoroastrianism. What is all this about you ask? 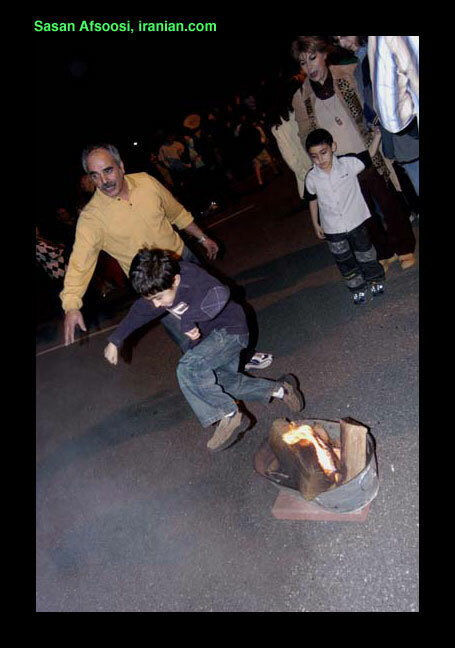 Why its Chahar Shanbe Soori !! You know, the last Wednesday before the spring Equinox? C’mon, we covered this months ago people. Now doesn’t that look like the most fun you’ll ever have getting rid of a Christmas tree? Just make sure you put safety first like these people above in LA (contain the fire, and either have a fire extinguisher handy or have the local fire department on standby. This entry was posted in Humor, Iran, Sundry by Baquia. Bookmark the permalink.